Schedule Your Next Transmission Maintenance Appointment. 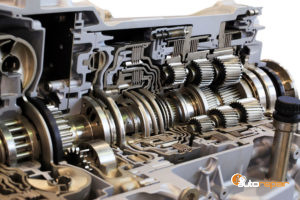 The transmission in your vehicle is something that you need to pay attention to and take care of in order to make sure that your vehicle continues to run for as long as possible. The transmission in your vehicle is the part of the car that supplies the power to make it run. Making sure that your transmission fluid is always filled to where it should be and doing any kind of transmission repair that needs to be done will keep everything running smoothly for as long as possible. Something that we highly recommend is finding a mechanic that you like and making a transmission maintenance schedule that you can follow so that you always know when to bring your car in to get it looked at and never go past the time to bring it in. This will hold you accountable and will help you avoid any problems down the line. There is different maintenance that needs to be done for a manual vehicle and a standard. Manual transmission maintenance should be done every 30,000 – 60,000 miles unless you do very heavy and often driving, then you should consider it around 15,000 miles. Transmission filter maintenance should also be done at this time so that it can all be finished together. There are sometimes that your transmission is going to have a lot of issues and you may have to have it rebuilt. A rebuilt transmission installation can be very expensive, but sometimes it is necessary in order to be able to keep that vehicle. We always recommend to do your research beforehand to make sure that you need to have your vehicle maintenance and avoid doing anything too early. If you don’t go rock climbing with your car or are regularly driving in heavy traffic in areas with higher heat indexes, you are probably good to wait every 30,000 miles or so before you even have to worry about anything that has to do with your transmission. If you ever have questions, call your mechanic and ask them what they would recommend. When you get a transmission fluid change, new oil is exchanged with the old oil that was inside of the transmission. When you get a flush done, all of the oil is cleaned out so there is nothing left. This leaves the area clean and free of any old oil before new oil is then added in again. A mechanic can do this process using a pump that is specially made for this service. How do you maintain a transmission? There are a few different ways that you can maintain your transmission. One, is to make sure that you are checking your transmission fluid or having it checked when you get your oil changed and also making sure that the right transmission fluid is being used. You can end up causing all kinds of problems if the wrong transmission fluid is used. You will also want to have your transmission fluid flushed on occasion so that it is remaining fresh and clean at all times. You also do not want to change your gears when your car is in motion. This can cause damage to the transmission that cannot be repaired. Last but not least, make sure that you let your car sit on and warm up before you start driving for the day, especially if it is cold outside. Is it good to flush a transmission? It is good to flush your transmission, but it isn’t necessary unless your vehicle is being heavily used. Also, most vehicles do not need a transmission flush until they reach 100,000 miles. This holds true for most transmission maintenance as well as long as you are typically driving under normal driving conditions, regularly. When to replace transmission fluid? The transmission fluid should be changed around 30,000 to 60,000 miles. This will help keep everything fresh and keep your vehicle on a strict timeline. Just like getting your oil changed, you want to make sure that you are servicing every part of your vehicle and not just what comes with an oil change. Here are a few of the most common transmission problems that we see. By having transmission maintenance done when you are supposed to, you can avoid expensive repairs down the road. These kinds of problems are almost never as simple as they sound, so it is crucial to keep checking your levels and talk to a technician if you have any questions about what is going on underneath your hood. If you do end up needing transmission maintenance in Lombard and Wheaton, IL, call J1 Auto Repair at 630-932-4427 and we can help you with anything you need in order to keep your vehicle running for as long as possible. Posted in Uncategorized on December 18, 2018 by J1 Auto Repair.